Portable laptop computers are already everywhere. Add a laptop printer and you’re ready to conduct business anywhere. 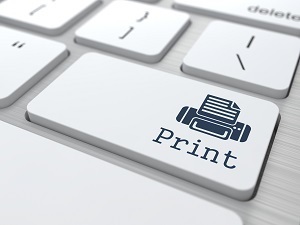 Portable printers come in many styles, from compact versions to handheld devices and bar- or wand-shaped mini printers which can process wide-format print jobs. Most models are WIFI enabled, offering e-printing and multifunction capabilities such as scanning and copying. Most laptop printers are based on inkjet, thermal or laser technology. The fastest, most accurate laptops use laser; they’re suitable for printing everything from business cards to graphics and marketing materials. Multifunction models can offer scanning and copying as well as printing, making your laptop an office hub while you are travelling. As with many other digital work tools, the future of printing is portable and, of course, wireless.